Baldi Barn is where horse lovers come to be fine horsemen. 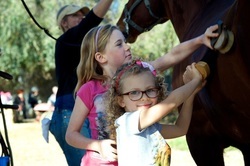 Our Pony Parties are the first step in igniting that equestrian passion! We provide a beautiful location for a safe, well planned, and most importantly, fun and memorable time! 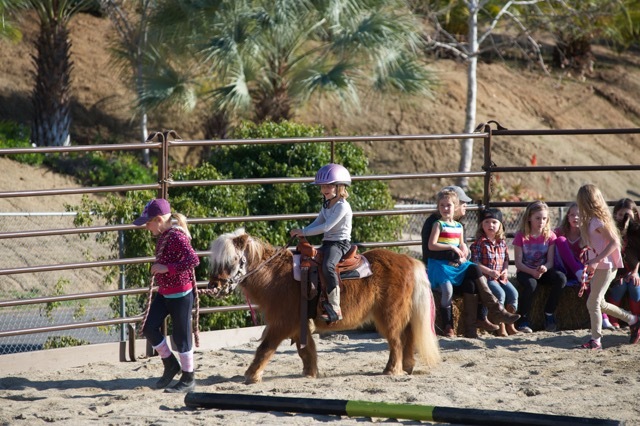 The Baldi Barn Basic Pony Party is a 2 hour event. 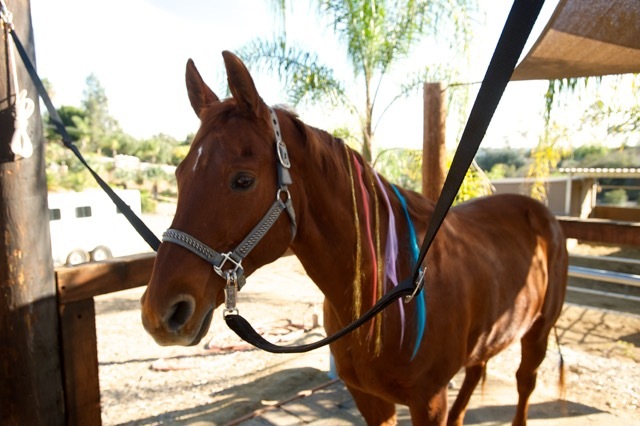 It includes pony dress-up time, riding instruction, mounted games, and props for photo opportunity for 8 friends. Songs and pony parade included for birthdays! Party will be customized for party-goer’s age range. Decorations, food, cake, plates, utensils to be provided by Party Group. If Pin the Tail on the Pony is selected, ponies will be groomed and can be dressed in ribbons matching party theme/ colors. 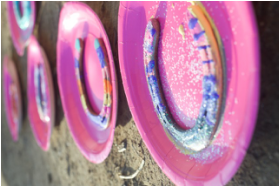 Party- goers paint and embellish a real, beautiful, hang-able horse shoe! Party-goers sew card stock horse heads, stuff, embellish, and ride off into the sunset! Lucky recipients will receive handmade bags in a horsey fabric, filled with either: handmade hair bow, horse toy, and organic pops OR 2 wild west toys and organic pops OR a real, used horseshoe painted gold or left rustic to hang up at home! Learn to rope a dummy or rope ring toss for tiny riders, mounted games, and more riding time. Tea, sandwiches, pastries, and cupcakes with linens, china cups/dishes, and silver tea service. You are never too old to have a pony party! We changed the name (Equestrian Experience, catchy right? ), changed the riding games, sophisticated the craft, and added some more refined choices for the photo opportunity! Parents can snag cherished, timeless photos of you and “your horse” in a show helmet, hunt coat, stock tie, carrying a riding crop or first place ribbon! If you are more inspired to be a cowgirl or boy, cowboy hats, bandanas, and lariats are available for your photo shoot! This party is for up to 8 horse lovers and is tons of fun! If you’d like to serve lunch/food other than cake, additional time can be allotted at $60 for the hour. You can incorporate a short snack and beverage time after riding, in the basic Pony Party without incurring extra charges, if you’d like. If you have any questions or other ideas, please ask! I LOVE sharing my ponies and MY love of horses, especially in celebrating birthdays and special events! Your party will be beautiful and a huge success at Baldi Barn.